I found this in Joann's last week. Now y'all, I grew up with banana trees in my yard. In Fort Lauderdale, FL! Not in North Pole, NY. 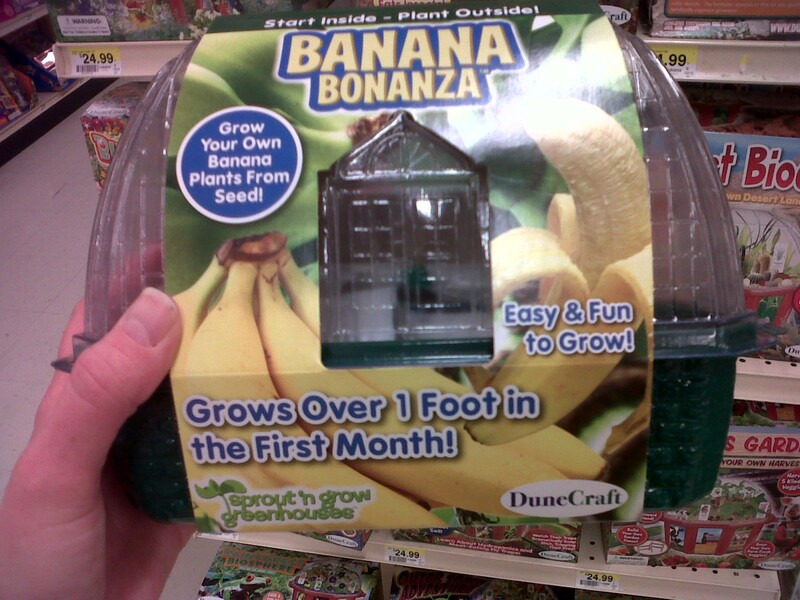 I just do not believe that this will really grown to produce fruit for the poor, unsuspecting kiddo who buys it. On their website, it states that it is guaranteed to grow. But says nothing about it producing fruit. Nothing about what zones it will thrive in. And there is a link to a safety recall that they covered with their Banana Bonanza logo (but you can still sort of see it behind the logo) with a broken link. Oh and while it does note that a banana plant is not a tree (which is true), it fails to point out that a banana plant is like mint and sunchokes. It will become very invasive and requires a great deal of work every years to keep it out of unwanted areas. Listen, I LOVE to grown food. And if all goes according to plan, you will have to endure me talking about those adventures a lot this summer. But I think this seems like an expensive idea that is not likely to thrive in most places. So while I have not actually used this kit, I feel like I should strongly suggest parents just buy bananas at the grocery store if you don't live in a tropical zone. Weird - I didn't even know you could really grow bananas in the US.